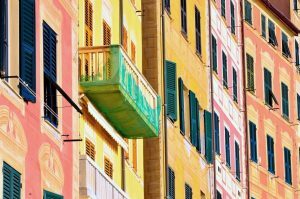 When selling an Italian property, there are some legal issues which should be seriously considered. Due to the language barrier and differences in legal systems, real estate transactions in Italy can appear as a difficult and protracted process for foreign investors. The Italian legal process is obviously technical and might expose you to some risks. Considering the interests at stake in a real estate transaction, it is advisable that you seek the assistance of a qualified bilingual legal advisor, who has the competence to guide you through the process and advise on potential risks. In this article we intend to concentrate on the issues that a seller may encounter when selling a property in Italy. The first stage is to put the property on the market, either directly or though an estate agency. If you are considering appointing an Italian real estate agent, it is important to ensure that the agent is qualified and registered with the local Chamber of Commerce in full compliance with Italian law. Such legislation is aimed not only to guarantee the professional qualification of real estate agents but also to ensure a compulsory indemnity insurance in the best interest of the client. If the agent is not registered, he/she could be prosecuted for carrying out a reserved activity and liable to a fine and other penalties. Last, but not least, the agent may not be legally entitled to a commission. The agent, in fact, is usually paid a commission (Provvigione) both by the buyer and the vendor. Such a commission is negotiable but generally equivalent to 3% of the sale price. Frequently, a foreign vendor is required by the real estate agent to sign the standard terms of engagement, which should be carefully evaluated before signature, even more so when such a document is drafted in Italian. Not only will it be important in assessing terms and conditions for the brokerage fees but also the minimum price of sale, duration of the mandate and its exclusivity. Once a potential buyer has chosen your property, the potential buyer would generally sign the first legally binding document called a “Reservation offer” and pay a small deposit. Such a deed is aimed to take the property off the market in Italy and should be signed by both parties (Buyer and Vendor). where the property is in a block of flats (Condominio), all service charges due should have been paid. The second stage of the conveyancing process in Italy is the negotiation and signing of the preliminary contract (Compromesso). The seller must ascertain that all the statements contained in the contract are true to the best of his/her knowledge, no false statements are made, full disclosure is given and that the specific enquiries raised by the buyer have been addressed truthfully. Usually upon exchange, a deposit is paid, ranging between 10% and 30% of the sale price of the property. The implication of such payment is that in case of default while completing the sale, the purchaser will automatically lose the whole of the deposit paid. On the other hand, in case of the seller defaulting, they will be required to pay the buyer the sum originally received as a deposit twice over. In addition, further sums may be payable, if it is proved that the damages actually exceed the amount of the deposit. Italian law states that both parties to a prospective transaction must act in good faith. Therefore, before exchange of contracts the seller must provide the buyer, or their legal advisers, with copies of all the documentation relating to the property, and inform them of any material fact which may affect the decision of the buyer to proceed with the purchase of the property and the choice of searches to carry out. It is important to ensure that the property complies with all applicable planning and building regulations. Breach of this legislation may result in the rescission of the purchase contract and heavy penalties. In the case of any breach, if the seller has applied for the benefit of a Planning Amnesty (Condono Edilizio), copies of the relevant documentation should be handed over to the prospective buyer. Note that upon completion the seller is required by law to produce a certificate of habitability (Certificato di abitabilità). This is provided by the local Town Hall to confirm the compliance of the systems of the property within Italian law and in respect of the relevant health and safety regulations. This certificate is mandatory, so the notary would not be in the position to proceed with the transaction and complete it unless the buyer is provided with the certificate. It goes without saying that it is therefore advisable for the seller to obtain this certificate prior to exchange of contracts and payment of the relevant deposit, otherwise he/she may risk that the transaction falls through, putting himself in a position of breach of contract. To avoid possible claims and penalties, should a certificate of habitability not be available on exchange of contracts, the seller should disclose the issue prior to the exchange and the contract should state either that the buyer is renouncing receipt of the certificate of habitability or alternatively that completion of the purchase is conditional on the seller obtaining this certificate. Furthermore, at this stage breaches should be remedied and proof of any remedial action should be clearly defined. Any missed payments of taxes should be disclosed as well as any other non-remedied breaches or notices served by the relevant authority. If the property is subject to a mortgage, the seller has a duty to redeem the same and cancel the corresponding entry on the Local Land Registry before completion of the sale. Alternatively, if the property is to be bought with a mortgage, it is advisable to finalise all the arrangements before exchange. However, this process may become expensive and protracted for the prospective buyer. Particular care should be taken if the subject matter of the sale is a villa or land with statutory farming pre-emption rights (Prelazione agraria) by owners or tenants or immediate neighbours in agricultural areas in Italy. According to Italian law, farmers, tenants and neighbours are entitled to be notified of a proposed sale of a property to third parties, and have priority in buying agricultural land offered for sale, in their immediate neighbourhood. Therefore, immediately before, or if this isn’t possible, after exchange of contracts, it will be necessary for the seller to serve a copy of the contract on all parties having pre-emption rights, so that a decision can be made by the person entitled within the statutory term (usually 30 days). It is important to ensure full compliance with this legislation, as any breach of such Italian statutory farming pre-emption rights may result in the local tenant / neighbour who has not been duly notified, claiming the property back from the buyer for up to a year after completion of the sale, thus leaving the buyer with a legal claim against the seller. These are just some of the points to take into consideration, but there are many others which we haven’t listed here, all with potentially seriously consequences for the Vendor. It is important that the seller acts in good faith and is professionally advised throughout the transaction. Avoidance of the contract and/or a claim for damages for misrepresentation are only some of the consequences that the seller should aim to avoid. The third stage is the actual completion of the sale that usually takes place in the offices of a notary (Notaio). Italian Notaries are officials entrusted by the law to transfer the legal title of an Italian real estate; they have the special duty of correctly drafting the Deed of Sale (Rogito), to ensure its proper execution, registration, and payment of all Italian taxes ancillary to the completion. While notaries are qualified lawyers, Italian law prohibits them from acting on behalf of any of the parties involved in a transaction. They must remain impartial. Only your own lawyer may offer legal advice to protect your best interests. Before completion the vendor should produce his Title Deeds (Purchase Deed, or the Italian Inheritance Tax Return duly lodged with the Authorities, relating to the property), all relevant planning and building licenses together with an Energy Performance Certificate (where the sale involves a building), a certificate of Habitability and all other required documentation to the buyer. All parties also have the legal duty to provide the notary with information in regard to the sale price and the agent appointed, which will be inserted in the Deed of Sale, as a solemn affirmation under oath (Dichiarazione sostitutiva di atto di notorieta`). Should this information be omitted, incorrect or incomplete, the parties risk the application of a much harsher form of taxation on the sale of the property with substantial fines. If the Vendor benefits from “prima casa” (first home) fiscal reductions, there will be a penalty to pay if reselling the property within five years of the original purchase. Such a penalty can only be avoided if the seller buys a new residential property in Italy within one year of the sale. Following completion, the seller may be subject to Italian capital gains tax. However, no tax is usually levied in Italy on an individual selling a property, if the vendor has owned the property for more than five years. As a general rule, it’s always good to be aware of the legal framework regulating international property sales. If you would like more information about selling your Italian property, you might like to read our full guide.